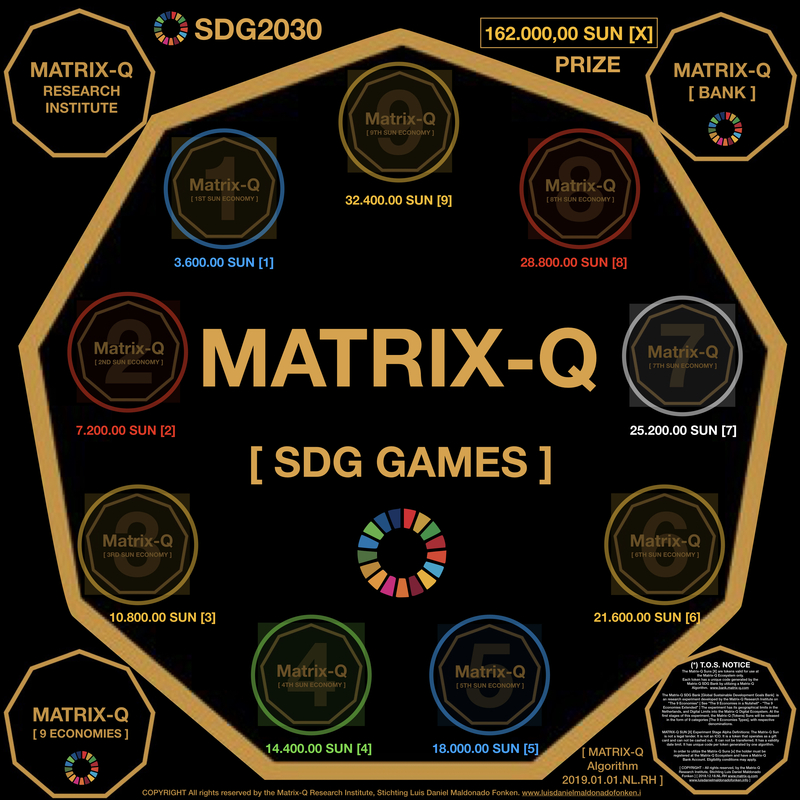 The Matrix-Q Research Institute SDG Games suggest challenges to SDG Entrepreneurs and provide to the winners support through Matrix-Q Knowledge, Tools, Skills, Technology & Resources (Matrix-Q Sun[x] Tokens). How communication and collaboration between men and women can change our future ? Within the context of extended gender equality (including minorities and diversity), one step further and beyond conflict between male and female, aiming to human equality: how important and helpful is communication and collaboration between men and women ? How can the nature, process, quality of these communication and collaboration be improved in order to directly and indirectly advance equality, neutrality, equity, balance, inclusivity, co-creativity of a gender based economy ? and how this improvement would have direct impact in SDG, Global Sustainable Development ? THE PROBLEM: By answering the question suggested below for which the problem has been briefly indicated, you will be able to learn, reflect, explore on it and produce a solution. THE PRIZE: 162.000,00 SUN[x] tokens. [ www.bank.matrix-q.com ]The total amount of the prize will be divided between 9 winners, according to an algorithm which will distribute the total amount of the prize according to the end result generated by the integration of the solutions suggested by the 9 winners. Matrix-Q Sun [x] tokens are discount coupons and gift certificates that can be utilized in the Matrix-Q Ecosystem for acquisition of services, products and goods; and can be traded accordingly to the rules set by the Matrix-Q SDG Bank. In order to empower SDG Entrepreneurs the SDG Bank offers a n amount of Matrix-Q Sun[x] tokens. The tokens can be traded for a number of courses, consultancy, coaching services, products, or goods, available in the Matrix-Q Ecosystem for this purpose. The Matrix-Q Ecosystem members also support SDG by contributing with services, products, prices and resources that would be useful for SDG Entrepreneurs. 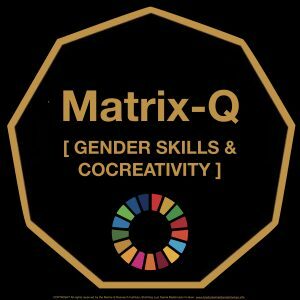 (List of Matrix-Q Ecosystem members that collaborate with the Matrix-Q SDG Games). What does a SDG Entrepreneur need ? Resources, training, advisory, consultancy, coaching, tools, models, services (accounting, media, hosting,…), financial resources.? According to case, development and learning curve, an SDG Entrepreneur may have a variety of needs. Not in all cases the same. More about prizes deployment below. DEAD LINE: 20th March 2019. Candidates are encouraged to pre-register. As for the purpose of completion of the tasks, challenges, suggested along the evaluation process, complementary reading materials, courses, activities, advisory, coaching and support will be provided, BUT ONLY TO PRE-REGISTERED CANDIDATES. 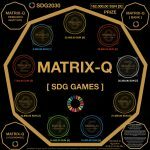 Acquire the Matrix-Q SDG Games publication. Available only at Gumroad. https://gum.co/oJbdi With an update of the game description and basic instructions. A fee may apply. Fill out an e-Tests, which is helpful for identifying candidates skills or background knowledge and designing complementary materials, advisory or training to be provided. Plus 15 min online session, with details on the test results and advise for the competition. Complete the experiential training program or activity designed for the candidates as condition for pre-register. 0.Which challenges has not been solved yet ? 1.Which methods and concepts has been utilized and which has been the outcome ? 2. Which kind of skills ? 3.What can be done within the family environment for this purpose ? 4.How culture, religion or tradition becomes a challenge, an opportunity or a positive influence for the achievement ? 5. Which multidisciplinary knowledge would be necessary to bring together for this purpose ? 6.How policy, system, job definitions, organization design, management tools, technology can be enhanced from this point of view ? 7.Do the natural hormonal shifts and unbalances in men and women mean any additional challenge ? 8.What type of training should the a foundation for the advancement of communication and collaboration between humans of any gender ? Which type of education, learning materials, content or process would be necessary ? 9.Which is the ideal profile (capacity and experience) of a leader that is capable of effective communication and collaboration, leadership, in this context ? 9+.Which process, method or model would you utilize for a systemic solution ? Ɵ . How would you bring all the answers together within one single proposal (project) which focus on achieving global sustainable development? General TOS term of service, prizes deployment conditions are available at the Matrix-Q SDG Bank site. Once the winners have been selected and the prize distributed (Matrix-Q Suns[x]), it is time for them to decide one of the alternatives suggested for use of the prize. A.) To join a program supported by the Matrix-Q Research Institute, for the implementation of the project, for which the Matrix-Q Sun[x] won will be utilized. The program may vary in a number of days from 729 to 3×729 days program. B.) To utilize the Matrix-Q Sun[x] for services or products available at the Matrix-Q Bank Market with the limitations described for each service or product, regarding the number of Matrix-Q Sun [x] that can be traded for a % of the value. C.) Join the Matrix-Q Ecosystem, and deposit the prize in an Matrix-Q Bank account, for its use in the future. E.) To join the Matrix-Q Co-creativity internship program, and participate and collaborate in the Matrix-Q Economy Type 2 Projects of the Matrix-Q Research Institute. G.) Commercial Licenses and certificates program for Co-creativity trainers, coaches, consultants and advisors. H.) Commercial Licenses and certificates and label program for SDG 5 Entrepreneurs. Acquire the Matrix-Q SDG Games publication. Available only at Gumroad. With an update of the game description and basic instructions. A fee may apply. The Matrix-Q Research Institute commits to the completion of the evaluation process and prize distribution, for as long as feasible. The evaluation process, prize distribution and deployment may be interrupted in any moment for any reason, without warning. Participants have no right to claim prizes or refund for pre-register fees or for a compensation through following up programs. Pre-register does not give right to candidates to any budget or resources for covering any expenses associated to the game they may incur in. The Matrix-Q Research Institute takes no responsibility for any loses, investment or damage caused to participants or third party, through the game process or its cancellation.